Faceless CD and DVD discs, be gone! Blank cassettes beware! 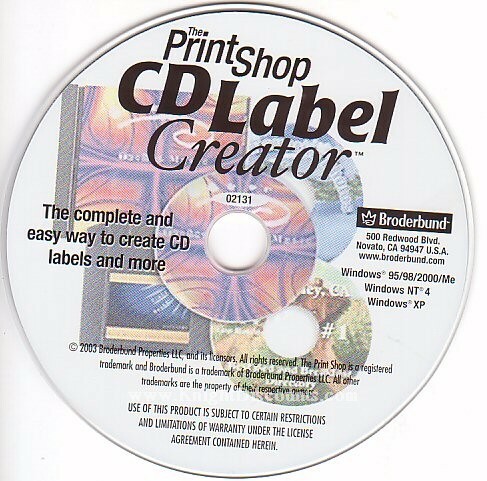 Now With Print Shop CD Label Creator you can create labels for your CDs, DVDs, and VHS and videocassettes, as well as design custom jewel case inserts. You'll never have to wonder what's on a CD, cassette tape, diskette, or any other media again. Choose from thousands of images, more than a thousand layout options, over 250 fonts, a built-in photo editor, and more. Plus, with the included CD applicator and 20 CD labels, you can get started right away! 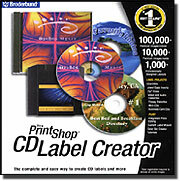 Print Shop CD Label Creator lets you choose from a staggering selection of over 10,000 images, along with access to an additional 100,000 images online (user registration required). Robust headline tools and 20 artistic effects deliver dramatic results. Color code projects using one of more than 20 ready-made color sets, or create your own color set. A convenient label wizard lets you work with custom stock paper sizes, while printable tutorials offer program tips and easy-to-follow directions. 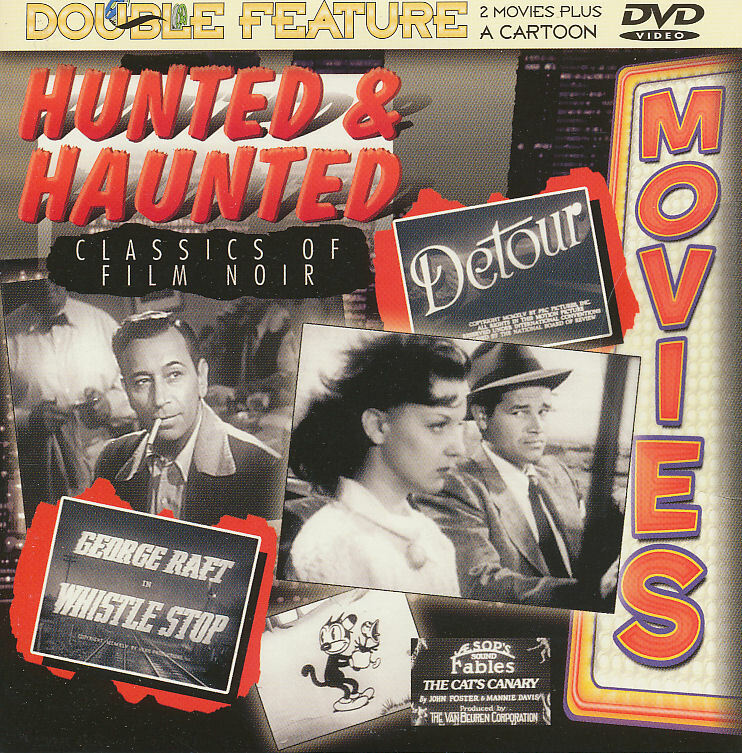 Includes retail CD in windowed sleeve - all documentation/instructions on CD.